UPDATE: In November 2017, Antonio was able to escape house arrest and was allowed to enter Colombia by the Colombian government, who then helped him travel to Spain to reunite with his family. He continues to fight for the release of Venezuela’s political prisoners from Spain. 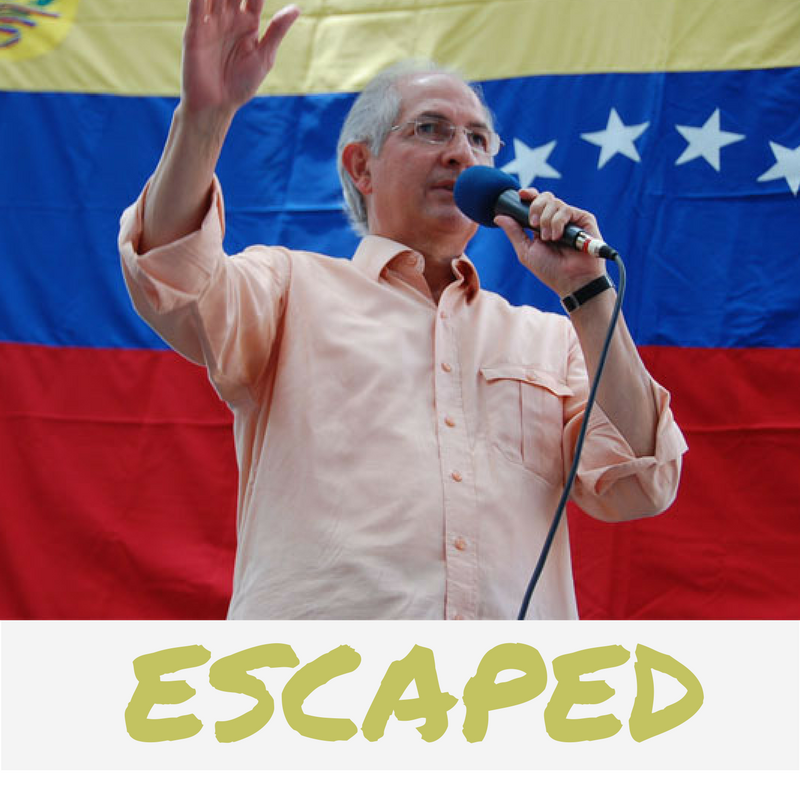 Mayor of Caracas, Antonio Ledezma was arrested in his office on accusations of a coup attempt. Having with excessive force by the police, he was charged with supporting groups plotting to use violent acts to destabilize the country, conspiracy and staging a US-funded attempted coup against President Nicolas Maduro.